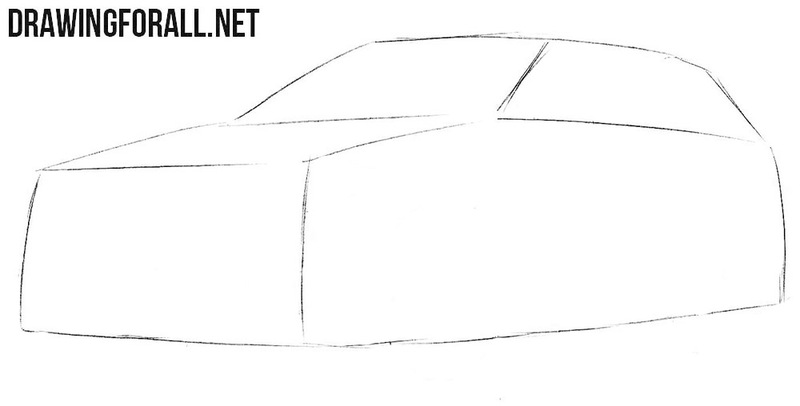 Today we want to show you how to draw one of the most legendary cars of all time. This car is popular among all segments of the population, both among schoolchildren and adults, accomplished people. 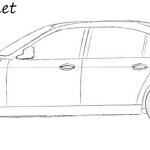 So, meet a lesson on how to draw a BMW X5. 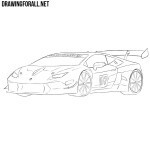 In the first step, we always sketch out the main outlines of the cars. 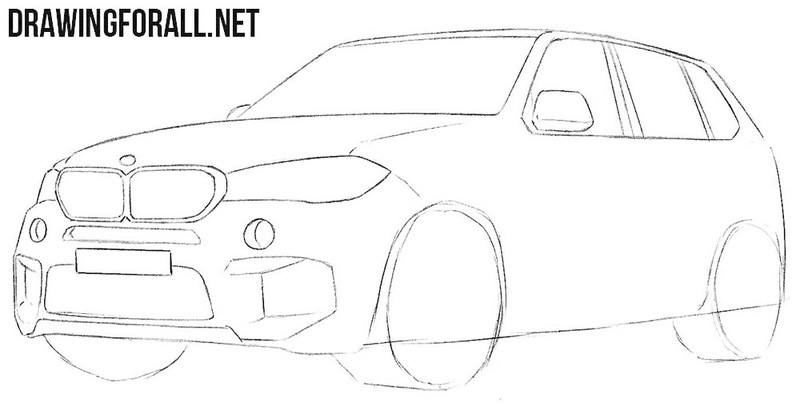 With the help of straight and very light lines, we sketch out the outlines of the square body of our BMW X5. By the way, try to not press too hard on the pencil, because in the future these lines should be erased. 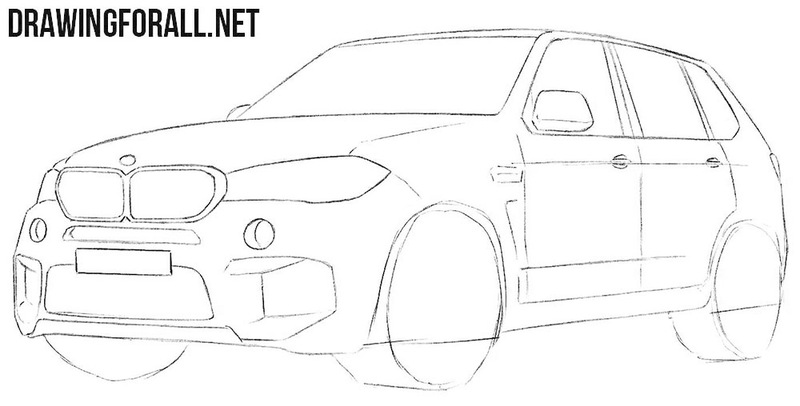 Now let’s add the most basic details to body of our BMW X5. Let’s start from the front, sketching the outlines of the headlights and the famous radiator grille. After that we sketch the windows and the rear-view mirror. 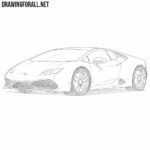 We conclude this lesson by scheduling the wheels and wheel arches. 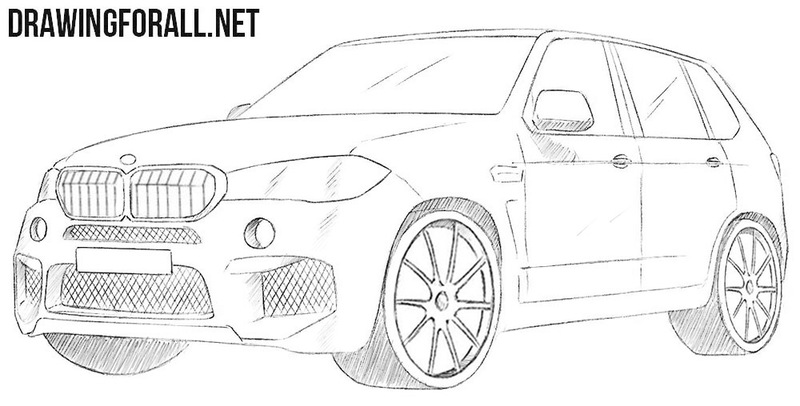 So, let’s begin to work with the final details of our BMW X5. Let’s start with the famous separate grille, which is placed on all models of the company BMW. Next, draw out the outlines of the headlights and draw the BMW logo in front of the hood. We continue to work with the front of the BMW X5. 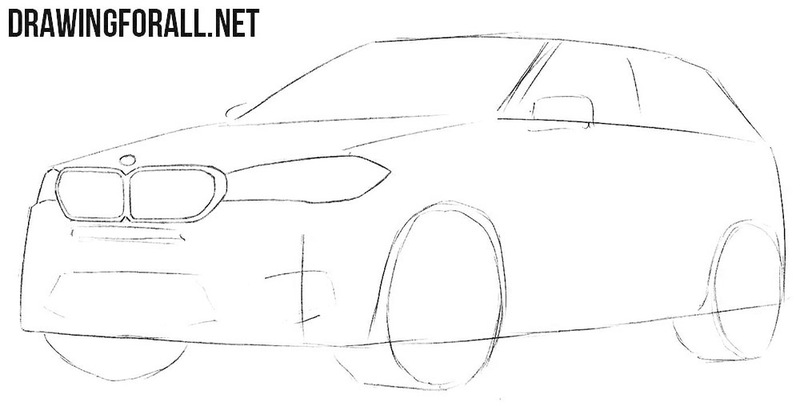 First draw the outlines of the bumper with air intakes and fog lamps. Next, go up a little higher and carefully draw out the outlines of the hood. Continuing the lines of the hood draw out the outlines of the roof, which goes to the trunk. 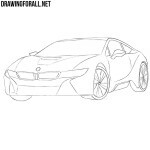 Next, carefully draw the outlines of the windows and rear-view mirrors. By the way, do not forget to remove unnecessary guidelines drawn in the first steps. 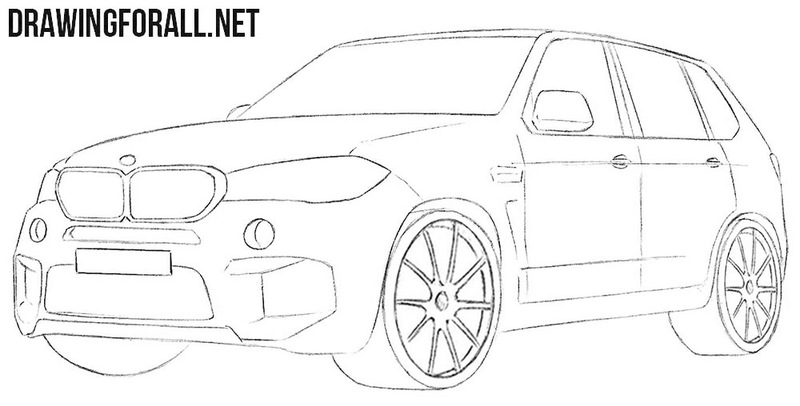 In this step, we will finish drawing the body of our BMW X5. Continuing the lines of windows draw out the contours of the doors. Next outline the handles, draw the lower edge and decorative lines on the side surface of the body. Carefully draw the outlines of the big wheels. Try to make them as smooth as possible. After this draw out the rims. You can repeat the form of our rims, or come up with your own design. Using intersecting lines, draw the structure of the radiator grille. After that add a little glare to the surface of the windows. 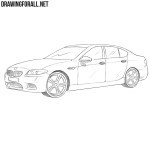 Conclude the lesson on how to draw a BMW X5 by adding some shadows using classic hatching. We tried to make this lesson as simple as possible so that both the young artist and the insurance agent could cope with it. 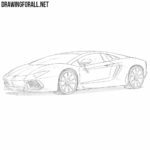 What is your favorite car and what drawing lesson would you like to see on our site? Write to us about it in the comments to this article or in our social networks.